Lately, I've been using Spoonflower to print complex embroidery patterns. 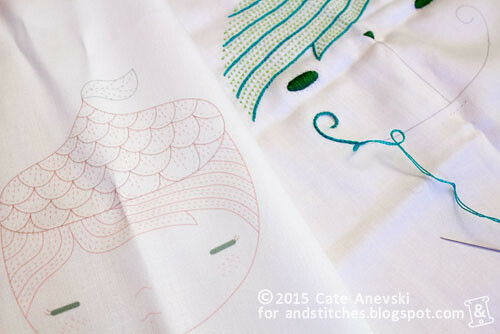 If you enjoy creating digital embroidery patterns, this could be a great method for you, too. Using a fabric printing service has a few benefits. First, you get to skip the step of transferring your image to the fabric. That work is done for you! Second, you can add color or other elements to the design in the areas that you won't stitch, giving you more options for your work. When I create my patterns, I do all the tracing in Illustrator. Another method that would work well is using a pen to create thin lines and then scanning your artwork. When designing your pattern, keep a few things in mind. First, make your lines very thin. In Illustrator, I use 0.25pt lines to ensure that the stitches will completely cover the pattern. Also, if you plan to use running stitch, make sure the lines are dashed and that the dashes are a reasonable distance apart to match your stitching style. You can print a test pattern on paper to compare to the size of your stitches. Spoonflower offers a wide variety of fabrics to work with. My favorite is their organic cotton sateen, which works well for the light stitching I like to do, but you can order an inexpensive swatch booklet to test their different options. Your preference will no doubt rely on your stitching style, as their various fabrics will hold up to heavy stitching differently. Printing on your fabric before embroidery opens up many other options as well. 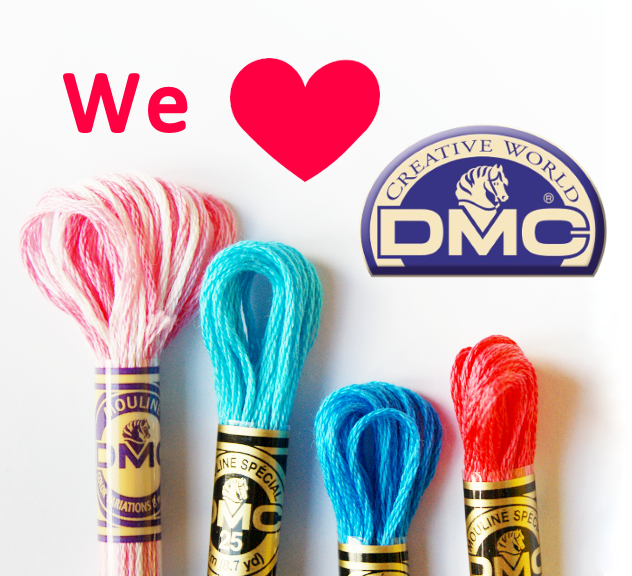 Imagine printing photographs or other artwork to embroider. What possibilities will you try?